Yeah, it's been picked up in all three of the top newspapers in the UK, not to speak of all the lesser online outlets. The story has also been picked up by foreign media. This believe it or not from Iceland. This was the tweet. For some reason, I can't highlight the story to translate that. 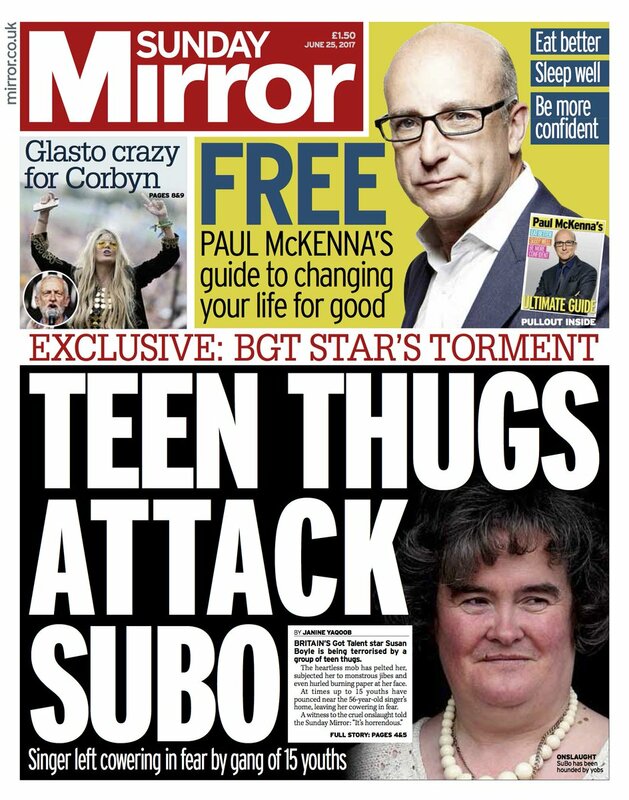 "The singer Susan Boyle applied abominable persecution and violence in his hometown"
Also the NZ Herald has just picked up the Mirror story. This will be picked up all over. I hope enough to embarrass law enforcement and village leaders to put a stop to it. It has been picked up in Australia. Almost all the comments in the Daily mail are very supportive of Susan and they are voicing outrage. And see in the other thread, even China. Page Six in the NY Post, the primary gossip venue for show business in New York, has now picked up Susan's harassment story with a little more information. Apparently, it's been going on for some time. Where are the police when you need them. They should be picked up and punished regardless of who they are tormenting. Susan does not need this, nor does anyone else. This is an old story now--the older men in her village read the riot act to those hooligans and it stopped. Thanks, Fudge. It makes me happy that it stopped.